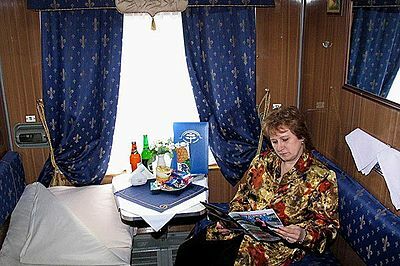 Yantar train, Buy Yantar train tickets online quickly and easily. 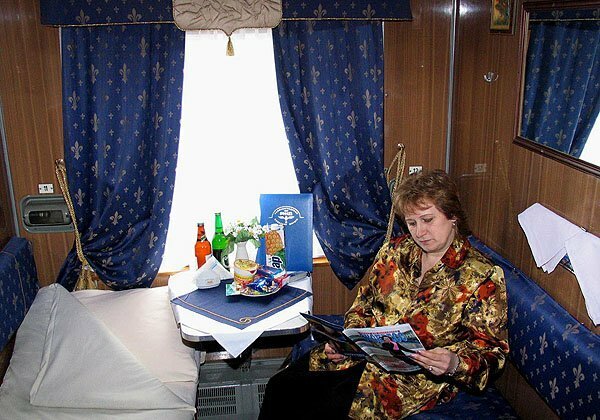 Yantar train is a fast train with increased levels of service called a "firmenny" train. It operates daily on Moscow to Kaliningrad route. Yantar train covers 1285 km and crosses 3 countries: Russia, Belarus and Lithuania. 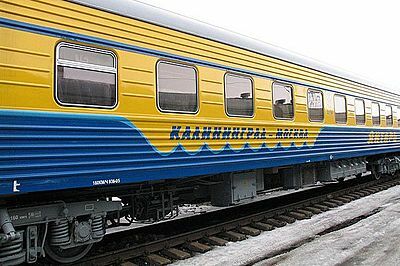 Since the time the train was launched in 1964 and up to the present day it has retained its corporate style which symbolizes the sea and the Baltic coast. 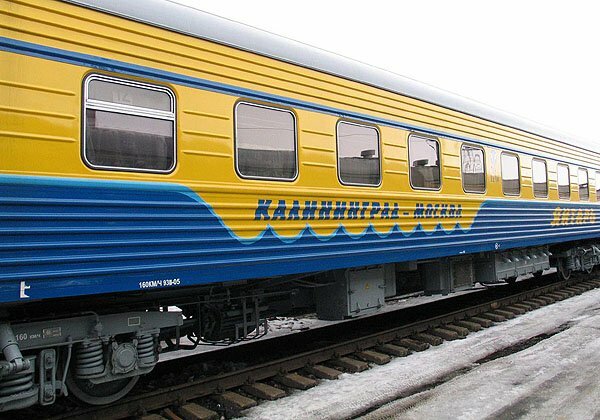 The train has become a symbol and hallmark of Kaliningrad region. 1st, 2nd and 3rd class carriages are available on this train. The 1st class cabin has two lower sleeping berths. 2nd class cabins has four sleeping berths - two lower and two upper ones. 3rd class has all berths together in an open coach. 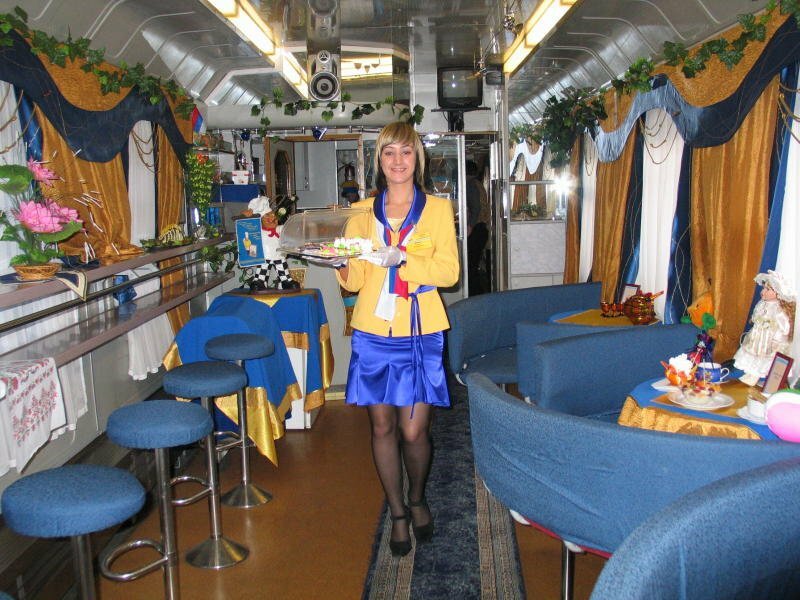 There is a restaurant carriage on this train. NOTE: This train goes through Belarus on its way, so you will need a Transit Visa to cross the Belarus territory. Russian train tickets on this train can be bought only in person on the train station.